The beef is well and truly over fopr the duo who’ve been at it for as long as I can remember. 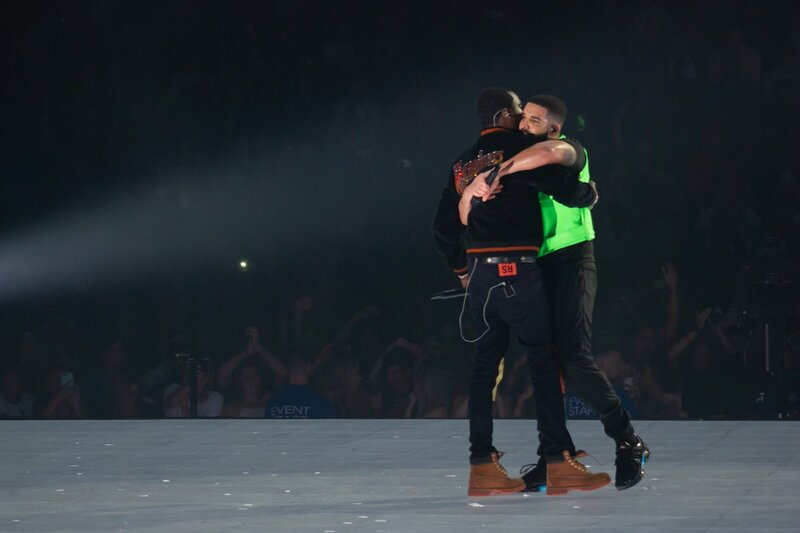 After the two informed us that the that feud was over on social, Drake made things official by inviting Meek Mill to the stage during his Boston leg of his Aubrey & the Three Migos Tour. Sharing the stage for the first time with Meek, in front of a packed TD Garden crowd, Meek took over the show surprising the audience with a performance of “Dreams and Nightmares.” The song ended in an iconic embrace — something that I never thought I’d ever see. Peep the clip of Drake and Meek sharing the stage below, along with Aubrey’s thoughts post show, via his Instagram.